A new concept in grid edge automation: turning natural gas furnaces and boilers into active, responsive assets to ease peak natural gas demand in winter. Natural gas is an untapped demand response asset. Demand response in the electricity sector is now worth billions of dollars and over 30 gigawatts of capacity in the United States. It’s a useful tool for utilities and grid operators trying to manage the real-time balance of supply and demand for a form of energy that’s very hard to store. Natural gas is much more easily stored than electricity -- but it still has its own peak demand and bottleneck challenges. And as we’ve seen with California’s shutdown of the Aliso Canyon natural gas storage site, the links between these two energy resources are becoming much tighter, as natural gas makes up a larger and larger share of electricity generation. Another region facing natural-gas supply bottlenecks and future capacity concerns is New York City and Long Island. This winter, utility National Grid and software partner AutoGrid are going to use the latest demand response technology from the electricity world for natural gas. Direct, two-way communication between energy providers and endpoints is becoming the new standard for controlling distributed energy resources (DERs) for electric utilities. But in the gas utility field, it’s quite rare, which makes National Grid’s project an important test of the concept. The project won the first-ever Innovation in Gas Award from the National Association of Regulatory Utility Commissioners (NARUC) this week. “The awards demonstrate how state-level regulation and policy can support technological and market innovation,” said Brien Sheahan, chairman of NARUC’s task force on innovation. Under the pilot program, commercial and industrial customers on Long Island and in parts of New York City will have their boilers, heaters and other natural-gas-fired equipment hooked up to load control devices from vendor IPKeys. These switches, controlled via the OpenADR standard, will be orchestrated by AutoGrid’s flexibility management software, which will schedule and control them in concert during the cold winter mornings when natural-gas heating demand peaks. AutoGrid’s software is already managing aggregated demand response programs like this for utilities across the U.S., but this is the first time it’s specifically aimed at natural gas management. So far, 16 National Grid customers have signed up for the program, which will offer them incentives for participating in gas flexibility events between 6 a.m. and 9 a.m. throughout the winter heating season, from December through February. The partners are hoping that the increased insight and control they’ll gain over this flexible natural-gas resource will allow them to build broader programs to replace the manual shutoffs that have been the industry’s main tool for managing supply shortages and bottlenecks in the past. While the overall system impact from 16 customers may be small, extending the technology more broadly could help National Grid, which provides gas and electric service to more than 7 million customers in the Northeast, optimize existing infrastructure, and avoid expensive upgrades. New York’s concerns about natural gas supplies go beyond providing adequate heating fuel. A recent report from Strategen Consulting noted that 2,860 megawatts of peak capacity representing 30 percent of New York City's generation capacity will reach retirement age within five years, leading to a potential 642-megawatt shortfall in generation capacity required within the city’s boundaries. The planned closure of the Indian Point nuclear power plan by 2021 is expected to exacerbate this shortfall. Strategen, which prepared the report for the NY Battery and Energy Storage Technology Consortium, suggests that energy storage could serve to fill this shortfall, and has used the data to push for more aggressive energy storage policies for the city and state. New York City utility Con Edison and state grid operator NYISO have said that they’re keeping a close eye on these aging plants, but that they expect that a combination of energy efficiency, demand response, and possibly repowering older plants will maintain reliability through the middle of next decade. Demand-side natural-gas management could also help utilities Southern California Edison, San Diego Gas & Electric and Southern California Gas deal with the lack of supply from the closed Aliso Canyon facility. The two electricity utilities have contracted for 70 megawatts of energy storage from battery vendors including Tesla, Greensmith and AES Energy Storage. SCE has also inked a deal with Google’s Nest to obtain 50 megawatts of peak load reduction from fine-tuning smart thermostat controls across tens of thousands of homes. SoCal Gas is also working with Nest to manage thermostats to lower natural-gas heating bills. While results so far have been measured in terms of overall efficiency, not peak capacity, it coincides with reducing the region’s electricity and gas demand peaks during winter months, which may not be as cold as those in New York, but still represent a challenge in times of short supply. 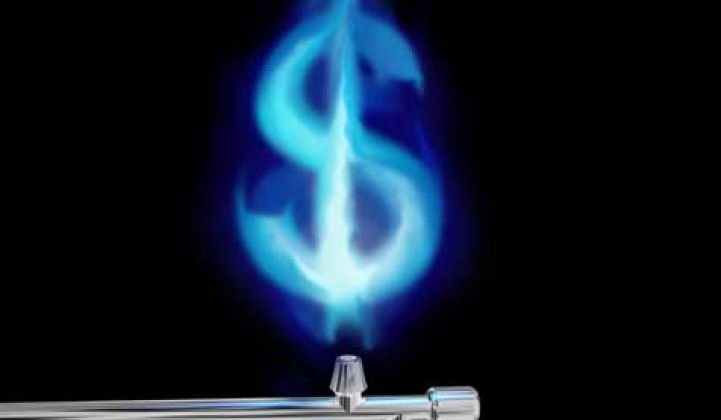 The shale gas revolution has unleashed record-low prices for natural gas across most of the country, pushing natural-gas-fired electricity to exceed coal as the primary provider of electricity in the country last year. But this shift has also drawn attention to the potential risks of increased reliance on natural gas, as well as the effect of low-priced gas-fired power on coal and nuclear power plants. These factors have helped bolster the Trump administration’s efforts, through a Department of Energy proposal to the Federal Energy Regulatory Commission, to provide cost recovery for coal and nuclear power plants, on the grounds that their on-site fuel supplies are more reliable than natural gas piped in from across the state or the country. While the DOE’s proposal hasn’t invited comment from demand response providers on how they help maintain grid reliability, programs like the one National Grid is rolling out could eventually help natural gas utilities join electric utilities and grid operators in tapping the demand-side potential for grid reliability.